﻿The stonework on this site was tired and unsound. 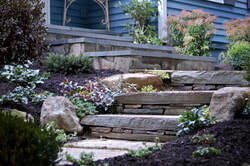 A beautiful new staircase was creatively built using a combination of stepping stones and fieldstone. 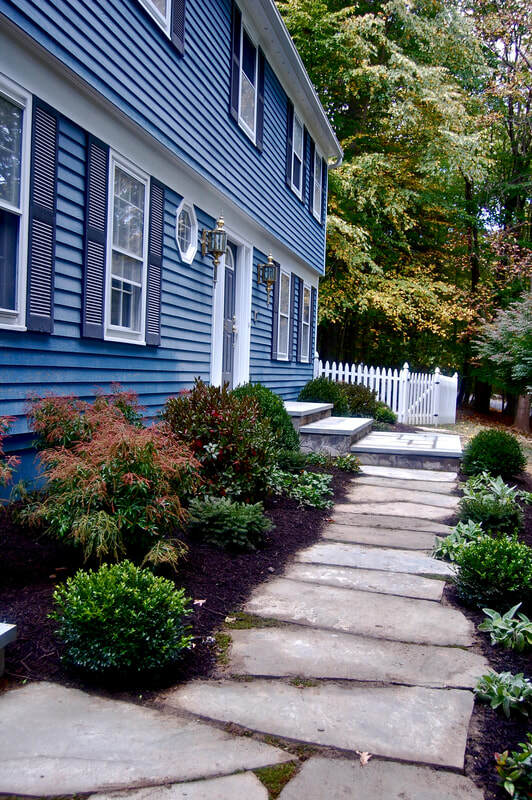 The organic shapes of the stones and small boulders add charm and character to this colonial woodland home. the front door. Plants are tucked into nooks and crannies. 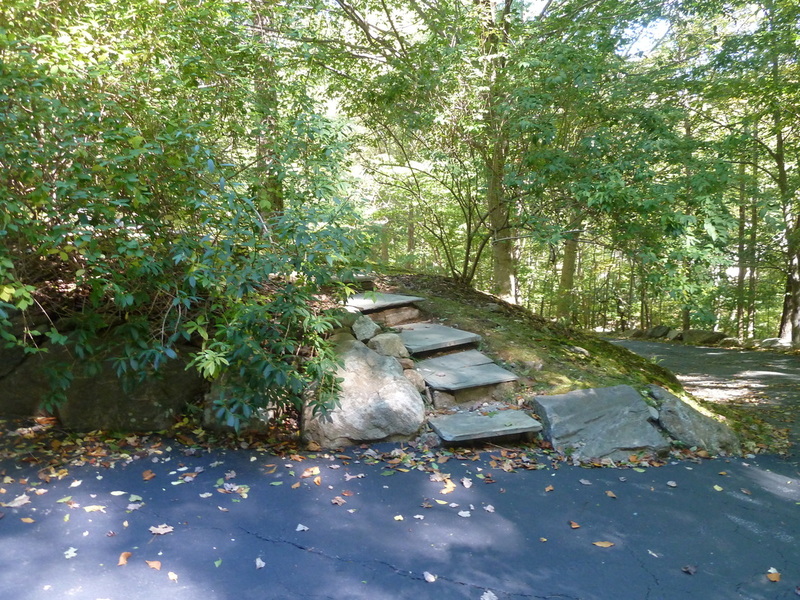 Instantly, the steps look as if they have been there forever.